This week’s round-up of regional business news includes the opening of ’76 Sips at Joanne’s Place Health Foods in Peterborough, the nominees for the 2019 Women in Business and Judy Heffernan Awards, the closing of Green Earth stores in Peterborough and Lindsay, the Innovation Cluster Peterborough & The Kawartha eyeing an expansion into Lindsay, Peterborough sending water purification equipment to Brazil, and the extension of the deadline to apply for the ignite100 entrepreneurial competition. Also featured is new ownership for the Golden Wheel Chinese Restaurant in Peterborough, Electric City Vegans offering a plant-based brunch at Dreams of Beans in downtown Peterborough, the opening of a new indoor playground in Peterborough called Kidz Playland, the appointment of entertainment lawyer and television producer Stephen Stohn as chancellor of Trent University, and the announcement of the nominees for the Port Hope Chamber’s Business Excellence Awards. New regional events added this week include the Peterborough DBIA’s breakfast network meeting with Mayor Diane Therrien on March 20th, the Innovation Cluster’s launch of the H2O Makerspace on March 21st in Peterborough, and the Bears’ Lair entrepreneurial competition semi-finalist showcase on March 26th in Peterborough. ’76 Sips, the new beverage bar at Joanne’s Place Health Foods (1260 Lansdowne St., Peterborough) officially opened today (March 18). KNosh News – February 2019. The beverage bar, which was created after the recent renovation at the Lansdowne Street store, is named after the year that Joanne’s Place was founded (1976). ’76 Sips offers healthy smoothies, organic teas, coffee, and baked goods from Lily’s Kitchen Co. in Omemee. 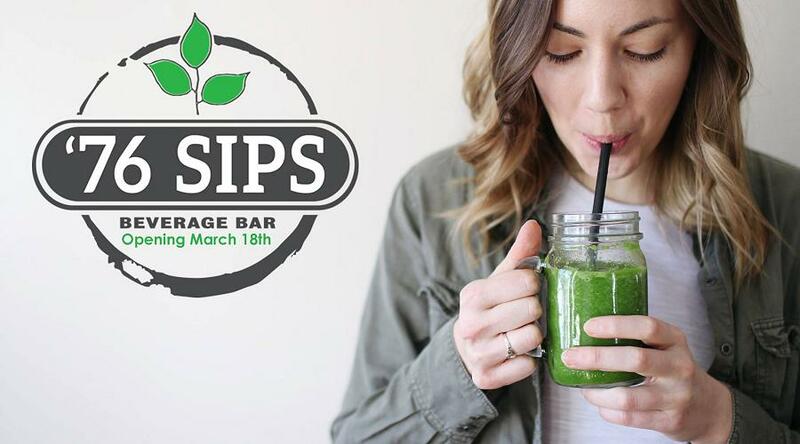 ’76 Sips is also following eco-friendly and sustainable practices. Cups used for hot beverages are biodegradable, and cups used for cold beverages are recyclable. They use paper straws (reusable straws are available for purchase) and do not over-package any products. To encourage people to bring their own reusable cup or mug, Joanne’s Place is offering 50 JP Rewards when you do so. 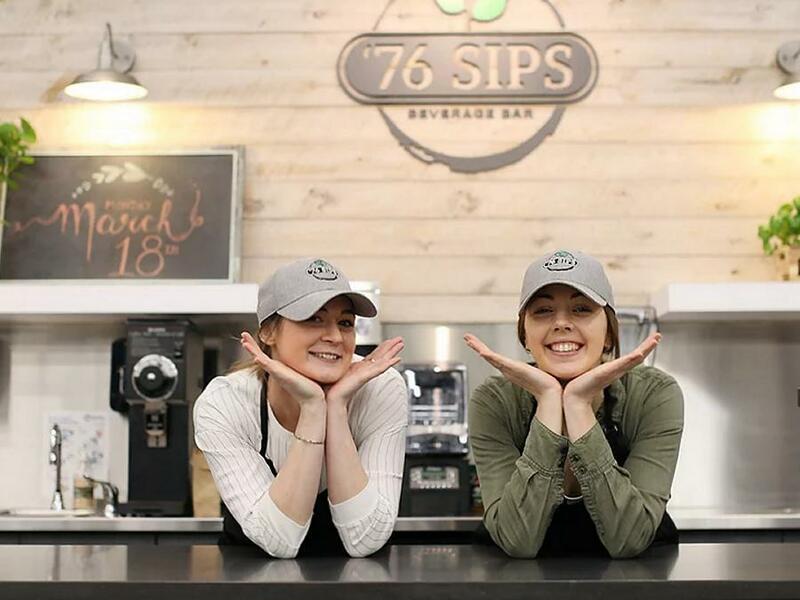 76 Sips is open from 10 a.m. to 4 pm. Monday to Saturday. For more information, visit www.joannesplace.ca/beveragebar. Nominees for 2019 Women In Business and Judy Heffernan Awards announced live on Facebook. 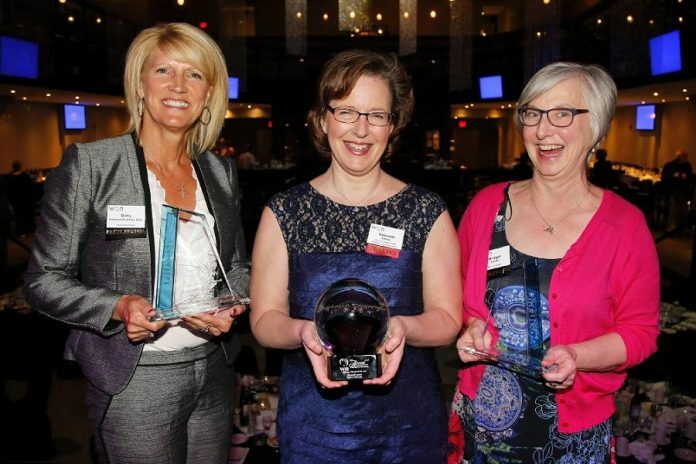 The nominees have been announced for the 2019 Women in Business and Judy Heffernan Awards. The awards will be presented by the Women’s Business Network of Peterborough at a dinner on Tuesday, April 9th at the Personal Touch Banquet Hall (1135 Lansdowne St. W.,). 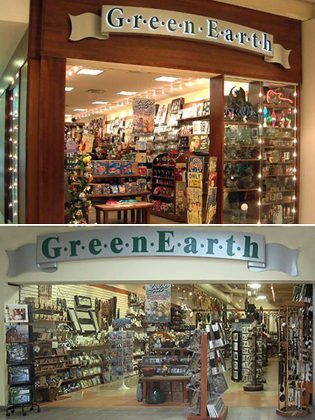 Green Earth stores at Lansdowne Place Mall in Peterborough and Lindsay Square in Lindsay are closing. Canadian retail has taken yet another hit. Last Wednesday (March 13), Ontario-based Green Earth announced it is going out of business. The gift retailer has filed for bankruptcy protection, citing reduced mall traffic and growing online competition as the reasons. Green Earth has 29 locations in Ontario. In the Kawarthas, Green Earth operates stores at Lansdowne Place Mall in Peterborough and Lindsay Square in Lindsay. With more than $16 million of inventory, plus fixtures and equipment, liquidation sales are now underway, with discounts of 40 to 80 per cent on all merchandise. Previous retail operations that have announced closures include Payless Shoesource and Home Outfitters. Michael Skinner, president and CEO of the Innovation Cluster Peterborough & The Kawarthas, will be making a presentation to City of Kawartha Lakes council at its meeting on Tuesday (March 19). Skinner will be providing background on the work of the Innovation Cluster along with its economic impact, jobs created, and startup companies supported. 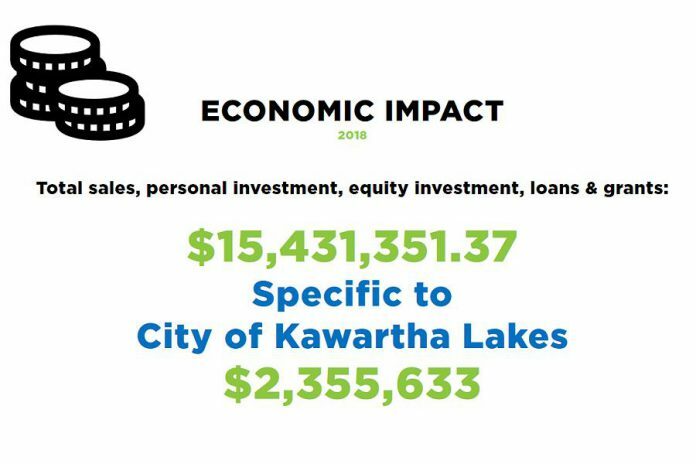 He will also be proposing an expansion of the not-for-profit economic development organization into the City of Kawartha Lakes. “One of these future aspirations would be to work towards having a physical location in the Lindsay area to support multiple startups in an incubation program,” he writes in his deputation request to council. The idea would be to establish an office in Lindsay, similar to business incubator in Peterborough, out of which clients could work. Peterborough is sending water purification equipment to a rural area of Brazil that was devastated in January. After the dam of the Corrego do Feijao iron ore mine in southeastern Brazil burst on January 25th, 182 people were killed with at least 100 others missing. A consequence of the tragedy was also a desperate lack of potable water in surrounding areas. 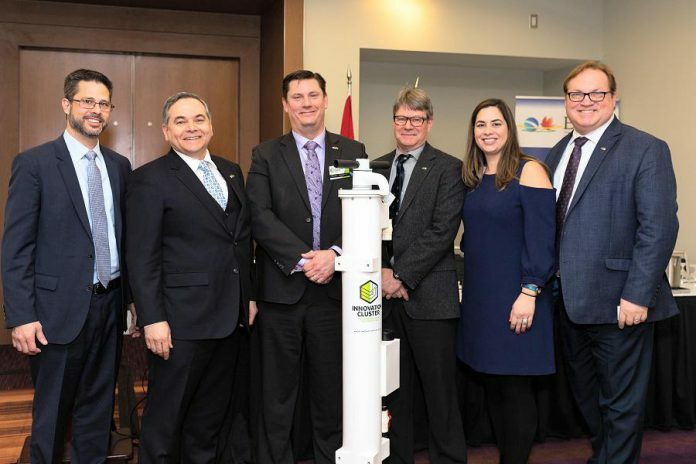 Through a collaboration between local Peterborough business Prima IP, the Brazilian Consulate of Toronto and the Brazil Canada Chamber of Commerce (BCCC), and the Innovation Cluster Peterborough & the Kawarthas, state-of-art water purification technology and equipment will be sent to the devastated region. The equipment is expected to produce fully drinkable water at a rate of nearly 10,000 litres a day. After learning of the tragedy, Prima IP founder Marcelo Konig Sarkis contacted the Innovation Cluster and the Brazilian Consulate in Toronto. “We just wanted to know how we could help in the wake of such a disaster and the Innovation Cluster’s access to water purification technology turned out to be the answer they were looking for,” adds Skinner, noting that the cluster’s water innovation specialist John Gillis was integral in getting the equipment ready for transport and set up in Brazil. The gravity-fed stand-alone water purification unit, weighing less than 13 kilograms and standing about 1.5 meters tall, has a proven track record in some of the most forbidding places in the world. 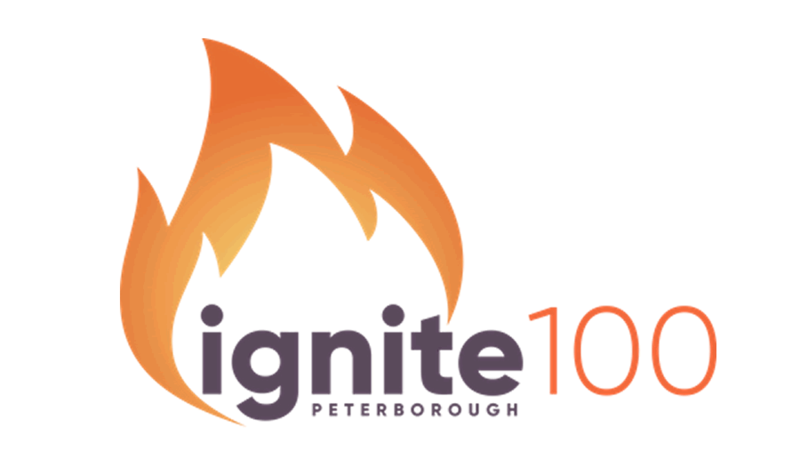 The deadline to apply for the ignite100 entrepreneurial competition has been extended to 5 p.m. on Friday, March 22nd. Launched earlier this year by Community Futures Peterborough (CFP), the competition’s grand prize is a repayable loan of $100,000, with no payments in the first year and no interest for the first three years (CFP will pay the interest for the first 36 months). Eight semi-finalists will be selected by March 30th and will make their pitch to a panel at a live competition on May 2nd. Three finalists will then make a private presentation to the Board of Directors at CFP on June 18th, with the winner announced at the CFP’s annual general meeting on June 27th. New to the competition is the announcement that the top eight semi-finalists will also have first access to the funds available through the new 2019 Innovation Contribution Program. For more information and to apply, visit ignite100.ca. 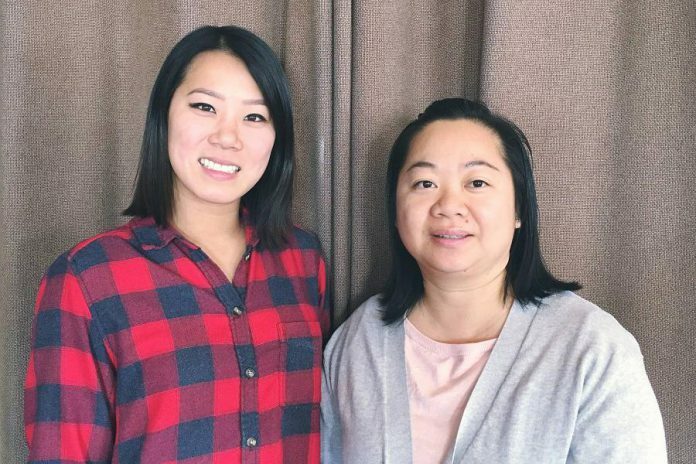 Last Tuesday (March 12), Susan Tung announced on Facebook that her family has sold Golden Wheel Chinese Restaurant (6725 Highway 7, Peterborough). Susan’s parents Mei and Patrick have retired and sold the business a few months ago to a new family. The father of one of the new owners has worked in the restaurant since 2016. The Tung family originally opened their Chinese restaurant in 1992, and then a few years later purchased the adjacent property, a country bar called the Honky Tonk, to expand the restaurant. They sold the restaurant in 2013 and then repurchased it again in 2016, when they began to offer line dancing, live music, and more. Susan says she will continue to be involved with the management of the restaurant, including event bookings and marketing, as the new owners get up to speed. 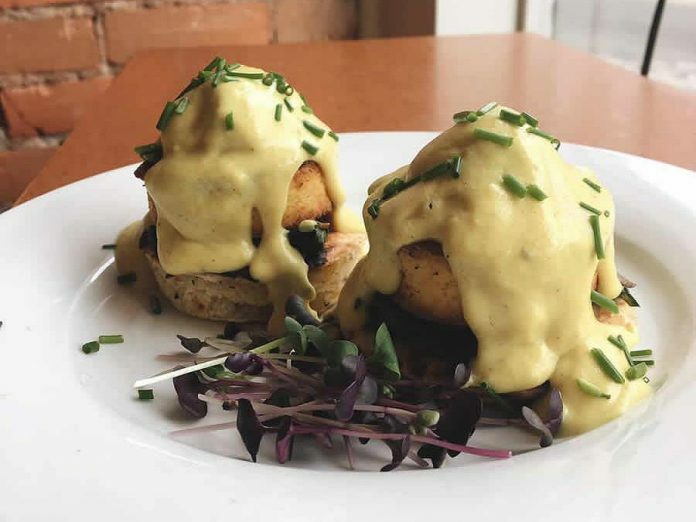 Electric City Vegans, operated by Chef Connor Clarkin and his wife Tash, is now offering a plant-based brunch at Dreams of Beans Cafe (138 Hunter St. W., Peterborough). The brunch menu is available from 10 a.m. to 2 p.m. on Sundays, and features vegan versions of scrambled eggs, eggs benedict, waffles, a breakfast sandwich, and more. For more information, visit Electric City Vegans on Facebook or Instagram. Kidz Playland, a new indoor playground for children, is hosting its grand opening at 9 a.m. on Thursday, March 21st. Located at 660 The Kingsway, the business is co-owned by Ayub and Makkieha Tabibi and their daughter Farzana Seddiqi and son-in-law Ali Seddiqi. 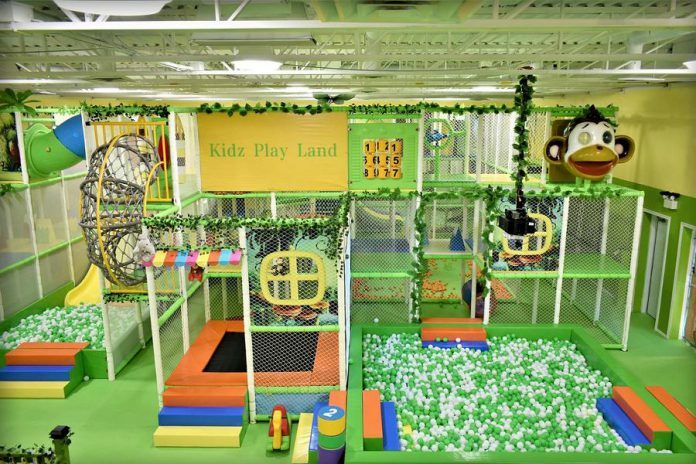 Kidz Playland offers a 5,000 square-foot play area featuring slides, obstacles, trampolines, ball pits, ball machines, and an interactive smart board. A single day pass for children (toddlers and older) is $10.99+HST from Monday to Thursday, and $11.99+HST from Friday to Sunday and on holidays. Infants are free when accompanied by a paid sibling ($4.99+HST otherwise). Admission is free for up to two adults per group ($5+HST for additional adults). The first 30 children during the grand opening will receive a free one-hour admission pass and goody bags. The grand opening will include a ribbon-cutting ceremony at 10 a.m. with city councillor Lesley Parnell and Meagan LaPlante, executive director of YES Shelter for Youth and Families, to which Kids Playland will be donated 50 per cent of ticket sales during the grand opening. Kids Playland is open from 10 a.m. to 7 p.m. Monday to Thursday, 10 a.m. to 8 p.m. on Friday and Saturday, and 10 a.m. to 6 p.m. on Sunday. Stephen Stohn, best known as the executive producer of the teen drama series Degrassi, will be the 12th chancellor of Trent University. The American-born 70-year-old entertainment lawyer, award-winning producer, songwriter and author is a Trent alumnus. He began attending Trent in 1966, when he helped found Trent’s student newspaper Arthur as well as Trent Radio. He graduated from Trent in 1969 with a B.A. in philosophy and economics. Stohn is only the second alumnus to hold the position of chancellor in the institution’s 55-year history. He is a long-time supporter of the university, including gifting $1 million for the new student centre. In 2015, he served as alumni-in-residence, participating and mentoring Trent students in workshops and seminars. The same year, he was awarded an honorary degree from Trent. Currently the president of Skystone Media Inc. and its related companies, Stohn has been the executive producer of numerous television series including Degrassi, Instant Star, Open Heart, and The L.A. Complex. In addition, Stohn served for nearly 20 years as executive producer and then chair of the Canadian Academy of Recording Arts and Sciences who organize the Juno Awards, Canada’s music awards show. As an attorney, he has represented some of Canada’s most talented and successful artists, and has been an active lobbyist for the reform of Canada’s copyright laws. 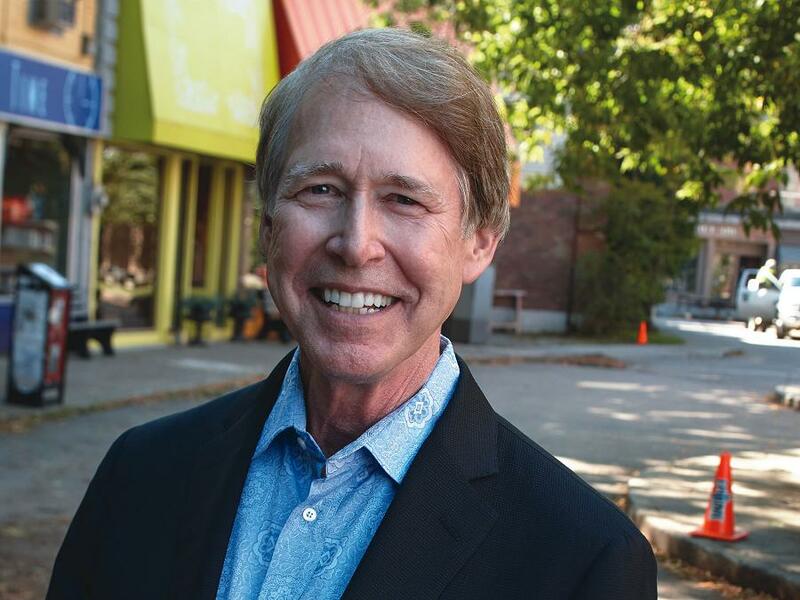 In 2011, Stohn was inducted into the Canadian Music & Broadcast Industry Hall of Fame, nominated for a Primetime Emmy Award, and won a Peabody Award. Stohn will be installed as chancellor at convocation ceremonies to be held on Friday, June 7, 2019. The Port Hope and District Chamber of Commerce has announced the nominees for its 22nd annual Business Excellence Awards. The awards will be announced on Saturday, April 27th at the Dalewood Golf Course in Cobourg. The Age Friendly Steering Committee of the City of Kawartha Lakes is hosting an information session on age-friendly business from 6 to 7 p.m. on Monday, March 18th at Between the Bread Eatery and Market (17 William St. S., Lindsay). The session is free and open to all business owners and staff who are interested in learning how to make their business more age friendly. There will be a light breakfast during the presentation, and take-away resources will be available. To register in advance, visit www.eventbrite.ca/e/age-friendly-business-learning-event-tickets-56455976345. On-site registration will take place 15 minutes before the start time at each event. The Peterborough Downtown Business Improvement Area (DBIA)’s next breakfast network meeting takes place from 7:30 to 9 a.m. on Wednesday, March 20th at Empress Gardens (131 Charlotte St., Peterborough). 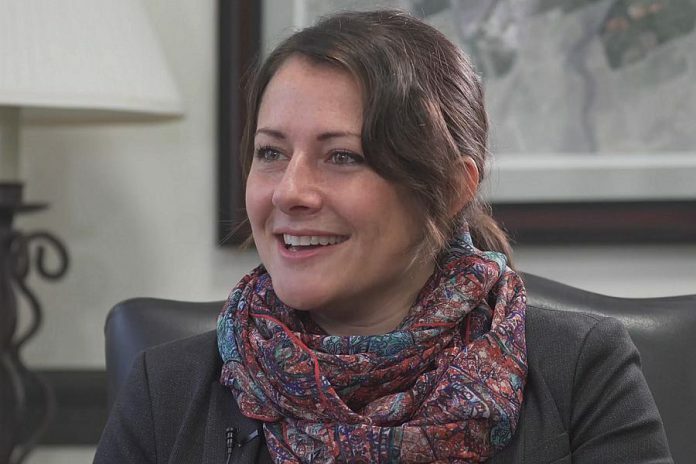 Peterborough Mayor Diane Therrien will be the guest speaker. 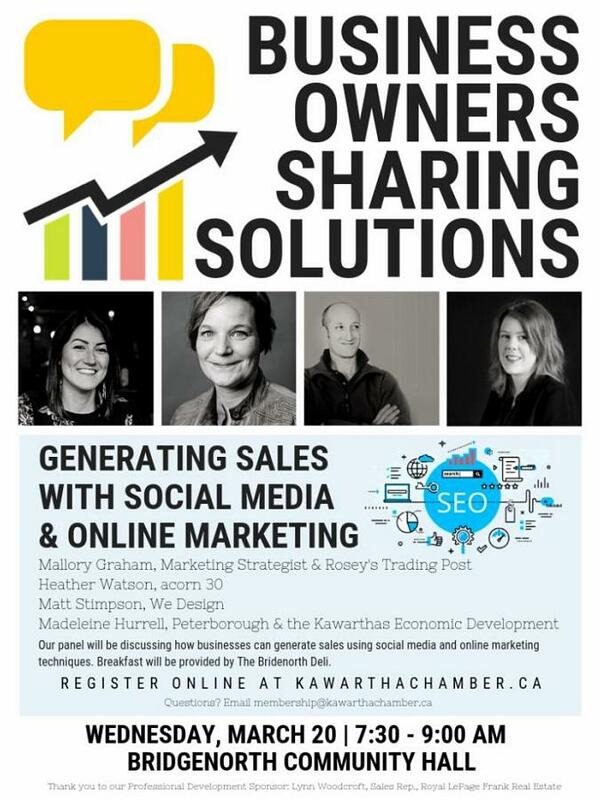 The Kawartha Chamber of Commerce & Tourism is hosting its first Business Owners Sharing Solutions (B.O.S.S.) of 2019 from 7:30 to 9 a.m. on Wednesday, March 20th at Bridgenorth Community Hall (836 Charles St. Bridgenorth). The topic will be “Generating Sales with Social Media & Online Marketing” and will feature panellists Heather Watson of acorn30, Matt Stimpson of We Design Group, and Mallory Graham of Rosey’s Trading Post. The session will be moderated by Madeleine Hurrell, Economic Development Officer at Peterborough & the Kawarthas Economic Development’s Business Advisory Centre. The cost is $15+HST for Chamber members, or $25+HST for non-members. Register at business.kawarthachamber.ca/events/register/10157. The Peterborough Chamber of Commerce’s next Lunch Box Learning session takes place from 12 to 1 p.m. on Wednesday, March 20th in the chamber’s boardroom (175 George St. N., Peterborough). 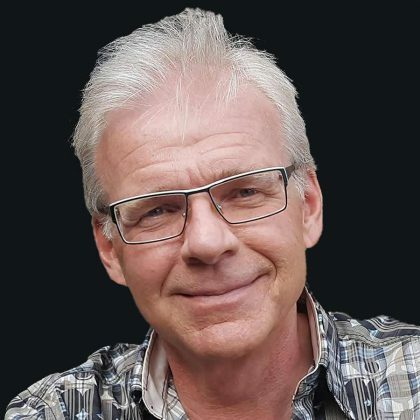 Dennis Geelen of Lindsay-based business consulting firm Zero In will present on the topic “Building a Cohesive Leadership Team”. In celebration of World Water Day, the Innovation Cluster will be launching its “H2O Makerspace: Powered by Franklin Empire Inc.” from 10 a.m. to 1 p.m. on Thursday, March 21st at VentureNorth (270 George St. N., Peterborough). Geographer, entrepreneur, and storyteller Jennifer Pate will deliver a keynote presentation sharing her stories and discussing how pollution is affecting our bodies of water. Pate’s research has explored experiences of ‘environmental subjects’ in UNESCO Biosphere Reserves, film as an emancipatory pedagogy for environmental education, and geographies of health &and biological identity. The event begins with Pate’s keynote, following at 11 a.m. by the launch of H2O Makerspace and at 11:30 a.m. with a trade show featuring various clean tech companies throughout the region and tutorials of clean tech equipment. Coffee and baked goods will be served. 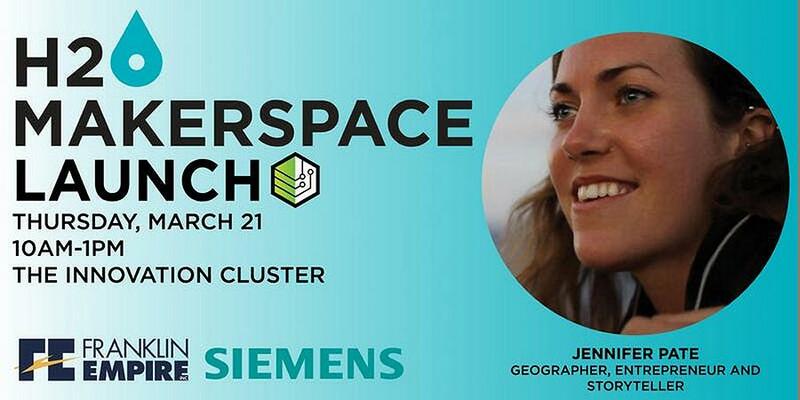 The event is free to attend, but registration is requested at www.eventbrite.com/e/innovation-clusters-h2o-makerspace-powered-by-franklin-empire-inc-launch-tickets-58587061478. 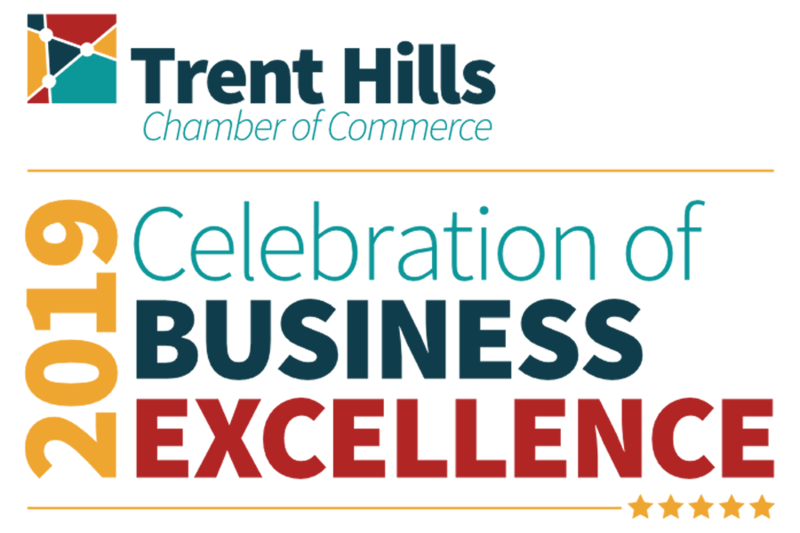 The nomination deadline for the Trent Hills Chamber of Commerce’s 2019 Business Excellence Awards is 5 p.m. on Friday, March 22nd. Nominations are being accepted in the following nine categories: Excellence In Business (Retail-Based Business), Excellence In Business (Service-Based Business), Pride And Progress, Customer Experience Award (Service Business), Customer Experience Award (Retail Business), Community Impact, Non-Profit Organization, and the Chair’s Award. The awards will be presented at a ceremony on April 27th in Hastings. For rules and regulations and an online nomination form, visit trenthillschamber.ca/business-awards/. The application deadline to apply for the the second annual trade show for heritage tradespeople and contractors in Peterborough has been extended to Friday, March 22nd. The Peterborough Architectural Conservation Advisory Committee is hosting the trade show from 10 a.m. to 4 p.m. on Saturday, April 27th at St. James United Church (221 Romaine St., Peterborough). The goal of the trade show is to connect contractors and tradespeople with experience working on heritage buildings with owners of heritage properties in the City of Peterborough. Tradespeople with relevant experience are encouraged to fill out an application form online at www.peterborough.ca or at the Heritage Preservation Office at 210 Wolfe Street. A space at the event will cost $15. Tradespeople must be able to demonstrate that they have experience working with heritage buildings and that their work complies with the standards and guidelines for the conservation of historic places in Canada. Submit completed forms by email to heritage@peterborough.ca or return paper copies to the Heritage Preservation Office. Guest speakers include Ashley Challinor, vice-president of policy with the Ontario Chamber of Commerce, and Trevin Stratton, chief economist with the Canadian Chamber of Commerce. Chamber members will be asked to approve the chamber’s audited financial statements and the actions of the chamber’s board for 2018. The cost for the event, which includes lunch, is $30+HST for members and $40+HST for non-members. For mroe information and to register by March 19th, visit www.peterboroughchamber.ca. 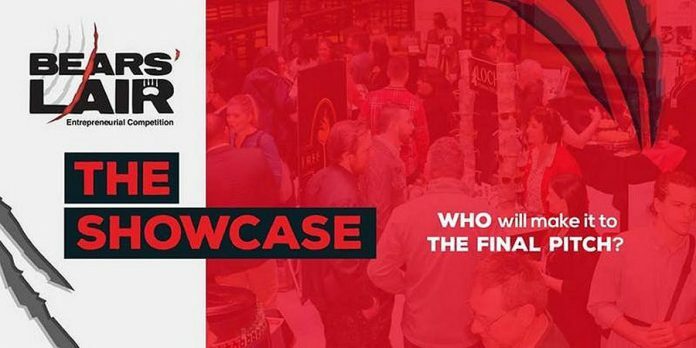 The Bears’ Lair entrepreneurial competition is hosting its semi-finalist showcase from 5 to 7 p.m. on Tuesday, March 26 at The Venue (286 George St. N., Peterborough). Bears’ Lair is an annual competition for up-and-coming entrepreneurs in Peterborough and the Kawarthas. Six finalists in two categories (Goods and Services and Innovation) will be selected to pitch their business to a panel of judges and the local community for a chance to win a cash prize. The competition’s semi-finalists will showcase their businesses in hopes of competing in the top six at the final pitch event on April 30th. Register for the free event at www.eventbrite.ca/e/bears-lair-semi-finalist-showcase-tickets-58268112493. 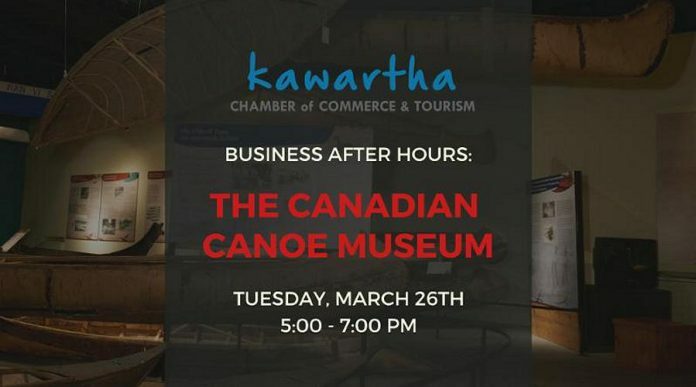 The Kawartha Chamber of Commerce & Tourism is hosting its first Business After Hours of 2019 from 5 to 7 p.m. on Tuesday, March 26th at The Canadian Canoe Museum (910 Monaghan Rd, Peterborough). The evening features networking, learning about some of the non-profit organizations in the area, and exploring The Canadian Canoe Museum. Non-profits with small displays at the event will include Abbeyfield House Society of Lakefield, Camp Kawartha, Community Care, Cuddles for Cancer, Habitat for Humanity Peterborough & Kawartha Region, Indian River Reptile Zoo, Peterborough Humane Society, and the Peterborough Regional Health Centre Foundation. To register for the free event, visit a href=”http://business.kawarthachamber.ca/events/register/10128″ rel=”noopener” title=”Business After Hours Registration – kawarthachamber.ca” target=”_blank”>business.kawarthachamber.ca/events/register/10128. 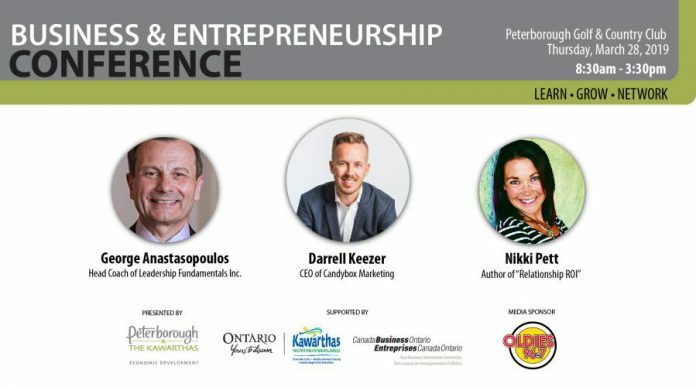 Peterborough & the Kawarthas Economic Development is bringing together business owners from across Peterborough & the Kawarthas for the inaugural Business & Entrepreneurship Conference from 8:30 a.m. to 3:30 p.m. on Thursday, March 28th at the Peterborough Golf & Country Club (1030 Armour Rd., Peterborough). This is a must-attend event for entrepreneurs looking to learn from industry thought leaders, network with like-minded professionals to develop partnerships and collaboration, and grow and improve their business. Keynote speakers are Nikki Pett on the topic “Relationship Marketing” and Darrell Keezer on the topic “Digital Disruption”, with special guest speaker George Anastasopoulos. There will be an afternoon panel on customer service in the digital age features local business people include Katie Dempsey of Blind Ambition, Bob Gauvreau of Gauvreau & Associates, Mike Watt of Providence/S.O.S./Flavour Fashion, Scott Murison of Wild Rock, and Nicole Truman of Fox Law. The conference registration also includes the opportunity to participate in the “Headshot Photo Booth”, where business owners can get a professional photo taken. Tickets are $55+HST ($40+HST for members of the Peterborough Chamber of Commerce) and include breakfast and lunch. For the complete program and to register, visit www.eventbrite.ca/e/2019-business-entrepreneurship-conference-tickets-54945307895. This event is being presented with the support of Kawarthas Northumberland, Canada Business Ontario, and the Peterborough Region Angel Network. The Northumberland Central Chamber of Commerce is hosting its annual Business Achievement Awards from 6 to 10 p.m. on Friday, March 29th at the Best Western Plus Cobourg Inn and Convention Centre (930 Burnham St., Cobourg). The annual awards recognize excellence and honour high achievers in the local business community. 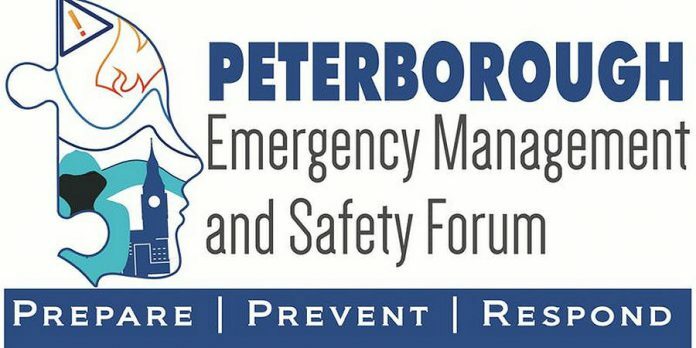 The Peterborough Emergency Management and Safety Forum is taking place from 8:30 a.m. to 4:30 p.m. on Thursday, April 4th and Friday, April 5th at Stonehouse Hall (2195 Lansdowne St. Peterborough). This two-day event is an opportunity to learn from leading experts in the field of emergency management and safety planning and execution. The forum will cover incident management and mitigation, emergency planning and responses, public safety, business continuity planning, interoperability in times of crisis or serious event, and coordinated collaborative response. There will be guest speakers from Orlando, Florida speaking on lessons learned from the Pulse Night Club shooting, Peterborough Police Chief Scott Gilbert speaking on the 2018 Toronto van incident, Sgt. Kerry Schmidt of the O.P.P. speaking on communications and the media in a crisis, Tom McKay (President of the International Society of Crime Prevention Practitioners), and an expert panel on cyber security. Early bird tickets are $75 until Friday, February 15th and $100 thereafter. For tickets, visit www.eventbrite.ca/e/peterborough-emergency-management-and-safety-forum-2019-tickets-53587643083. The cost of $125, which includes a continental breakfast and a market-style lunch. 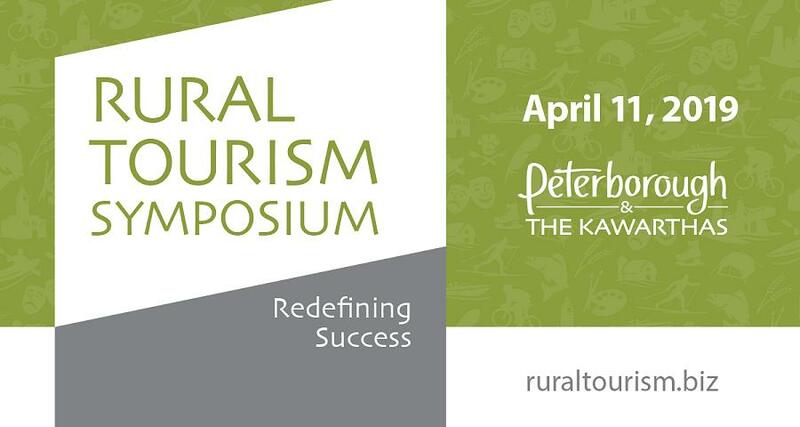 For more information and to register, visit ruraltourism.biz.